I've done this game for the 110th One Hour Game Jam on the eponymous website. 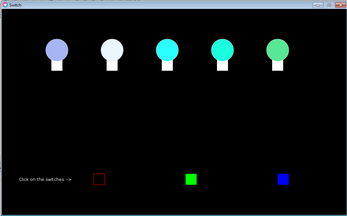 Click on the RGB switches to change the lights color. 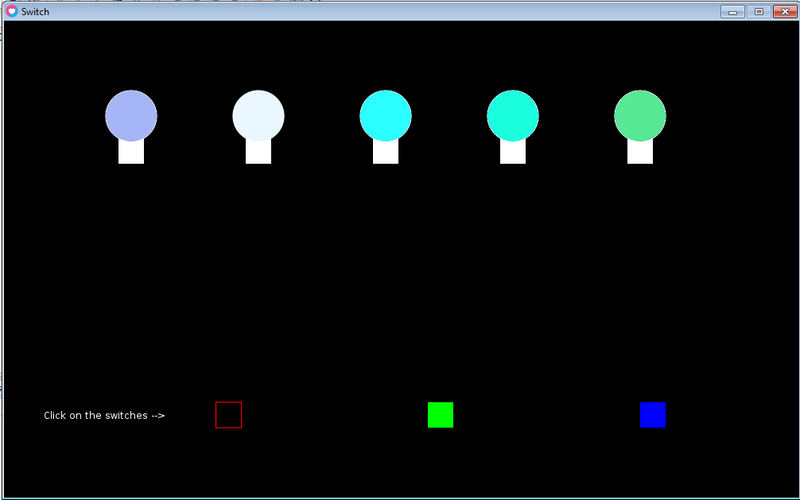 You may notice that the initial light bulb colors are random. There's no way to win, it is an animation.